We are a leading pediatric cancer and blood disorder facility that offers both inpatient and outpatient facilities and a multidisciplinary approach to care for your child. At Roswell Park Oishei Children’s Cancer and Blood Disorders Program, we treat your child using complete, state-of-the-art medical technology while staying focused on a family-centered care approach. 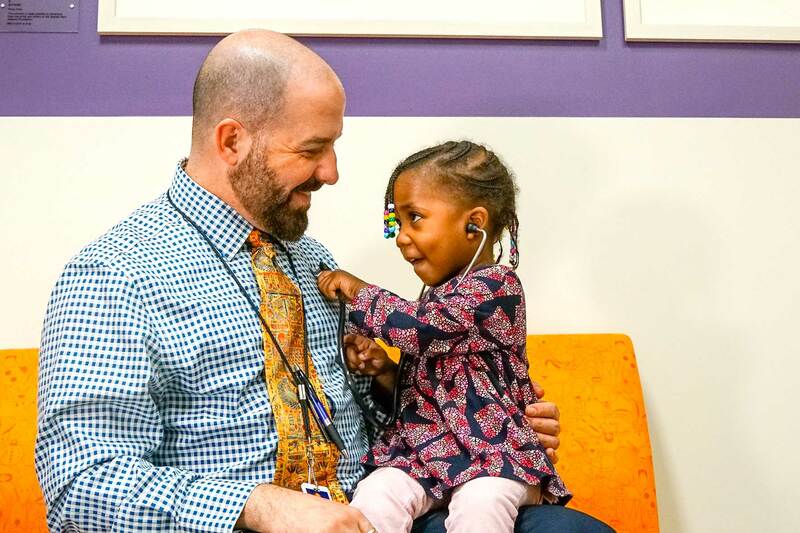 We offer our pediatric patients the expertise of a joint program based at a National Cancer Institute Comprehensive Cancer Center and a freestanding Children’s Hospital, one of the few programs nationally. Our research makes a difference in the lives of children treated here in our community, as well as nationally and worldwide. Connect with other Roswell Park Oishei Children’s families who have children with pediatric cancer and blood disorders. Share stories, give support, ask for resources and advice … we’re all in this together. Browse the topics below from our online health library, provided by our partner Healthwise, to help understand your cancer and make informed decisions in managing your health.